My name is Kaelynn Partlow, and I have been attending the school at which I am currently employed by for the past five years. My journey at Project Hope began with my mother tying my shoes, picking out my clothes and fixing my hair on that very first day of school. I was 14 and didn’t know how life-changing the next five years would be for me. 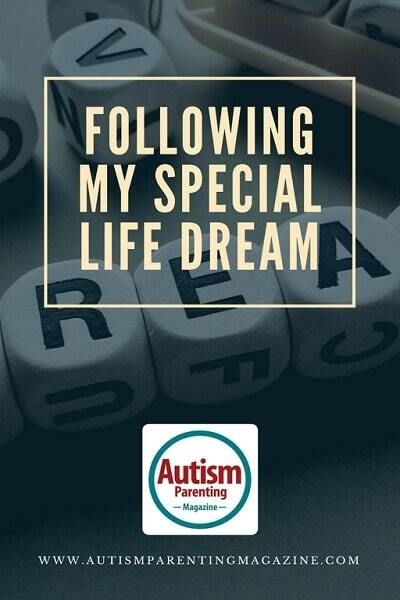 I was diagnosed with dyslexia, dyscalculia, dysgraphia, no working memory, ADHD, autism, sensory processing disorder and visual processing disorder; my academic future looked uncertain at best. My parents were in a state of sadness and frustration. I quickly learned how safe I was here at this new school. My teacher was kind and encouraging. I saw that there was no escaping the principal’s welcoming hugs each morning, no matter how hard I tried! My classmates and I were a lot alike, in ways that I never imagined would be possible. I couldn’t recall ever meeting anyone else with my same challenges, so it was comforting having classmates who were so similar. My high school class was the smallest in the whole school. Most of the others were elementary classes. I have always loved children, and especially children with special needs. There were so many little friends to play with! After my second year at Hope, my love for children led me to spend time in my school’s special elementary classes. I developed relationships with a few students who were also on the spectrum. My time spent with them made it easy to see where I fit in. A full summer interning in the special education classrooms and I was hooked. I felt at ease with this special group. The children understood my quirks and I loved their sense of humor. I returned the following school year to help in the preschool class in addition to my regular high school curriculum. I also participated in some of the training for the staff. I learned a lot about Applied Behavior Analysis (ABA)! That was when I decided that I wanted to really pursue becoming an ABA therapist, but I still had to develop some more skills that would be necessary for employment. Things like arriving on time, self-awareness and eye contact were still difficult for me, even by my third year at Hope. So my teachers/therapists and I dedicated my senior year to acquire the skills needed to become a therapist. Arriving on time wasn’t just something I “should” do, instead, it became a necessity. I continuously reminded myself to maintain appropriate eye contact when speaking with people at school. I’ve also tried my best to be aware of how I affect others, and try to be open to suggestions. I am constantly learning, and I have had so much love and support along the way. Since I graduated, I’ve become a Registered Behavior Technician. My hard work paid off! I currently work in a 1st-grade classroom of children on the autism spectrum in the mornings, and I have one on one sessions with children in the afternoons. I love my job! I still have my unique challenges that my coworkers don’t have to deal with, but I still get a lot of extra support from my old teachers/therapists. Sometimes I feel that some of my challenges actually give me an advantage. I can relate to my clients in a way that no other therapist can. I have an understanding that my coworkers can’t gain from reading about in a book. I can relate to many of their sensory needs because I have the same ones myself. I can pull from my own experience in dealing with sensory difficulties in order to help come up with practical coping mechanisms that fulfill the need. I understand the feeling of overload in a crowded situation. I think that being able to understand and relate to these challenges have made me a better therapist. I wish that I could’ve had the opportunity to receive ABA therapy when I was younger. I feel that if I got therapy, I wouldn’t have needed to learn so much as a young adult. But like they say, everything happens for a reason. I’m very thankful for my job and the fact that I still get support as an employee. I love being able to see children progress and grow in the same ways that I have.